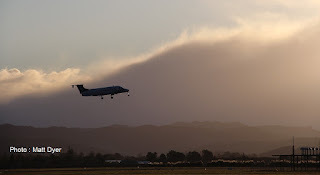 Please find the images attached that I took of the final Eagle Airways flight out of Gisborne, NZ2237 to Wellington. Eagle Airways is a 100% owned subsidiary of Air New Zealand, and two years ago it was announced that Eagle Airways was to close, with the airlines' fleet of Beechcraft 1900D to be sold and slowly taken out of service with Eagle Airways. Services were to wind up completely by August 27, 2016. Eagle Airways has been operating in Gisborne since 1988. Cities like Gisborne had their Eagle Airways services replaced with larger, more economical Q300 aircraft, that could carry more passengers, and operate at a lower cost per seat, which meant that airfares could be decreased with the larger aircraft. A few cities that Eagle served lost services altogether, these included Whakatane, Kaitaia, Westport and more recently Wanganui. The Gisborne to Wellington route was one of the final Eagle Airways routes, with Palmerston North to Hamilton and Wellington the only surviving routes until they are replaced with Air Nelson Q300 aircraft in August. The recent changes with Eagle Airways and Air Nelson have also meant that almost all the regional cities in the Air New Zealand network no longer have resident flight attendants and pilots, meaning all of Air NZ's pilots and flight attendants are from Auckland, Wellington or Christchurch, and stay overnight in hotels in the provincial centres. I hope this gives some background for the story. Eagle Airways was a solid team of aviation professionals, and with such a solid service to Gisborne over the recent years, and the airline will be missed in our provincial centres. Yes, they are a great airline Matt... I too am sorry to see them go! There were three route changes for Air New Zealand today. The most significant was Air New Zealand withdrawing completely from Whanganui. Bombardier Q300 ZK-NEP operated the late afternoon Auckland-Whanganui service (NZ8759/Airlink 759) and the final service out of Whanganui (NZ8762/Airlink 762). The final Auckland-Whanganui service was operated by Q300 ZK-NEE (NZ8757/Airlink757). The aircraft then positioned back to Auckland as Airlink 984. 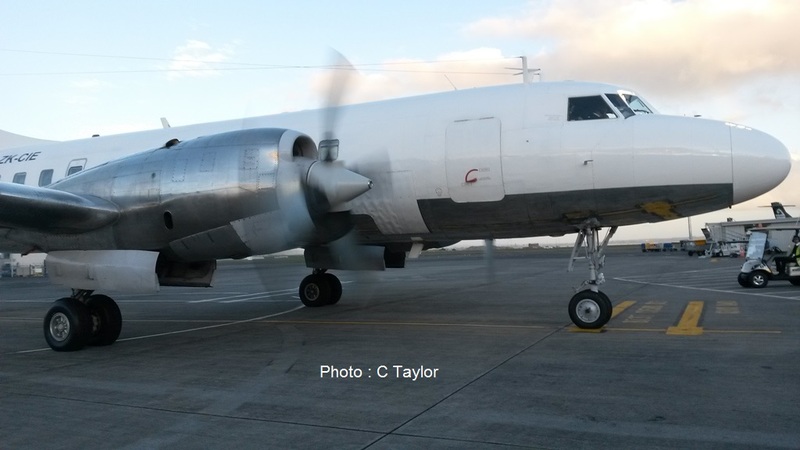 Whanganui was first served by the national carrier, (in those days NAC) on the 1st of November 1954. On that day flight 301 Douglas DC-3 ZK-AYK "Parekareka", commanded by Capt. G.W. Miles, with Second-officer J.W. Winefield, left Auckland at 8.20am, New Plymouth at 9.45am, and arrived at Wanganui at 10.25am. It left Wanganui at 10.40am, and Palmerston North at 11.20am, to arrive at Paraparaumu, (Wellington's airport at the time), at 11.55am. Later in the afternoon Douglas DC-3 ZK-APA 'Puweto' arrived from Paraparaumu and Palmerston North before departing for New Plymouth and Auckland. Friendship services to Wanganui began on the 22nd of May 1961. Tomorrow Air Chathams begin Whanganui-Auckland services. Today Air New Zealand also pulled off the Christchurch-Blenheim service. Bombardier Q300 ZK-NEK operated the final Christchurch-Blenheim service (NZ8784/Airlink 784) and return Blenheim Christchurch service (NZ8297/Airlink 297). Eagle Air commenced Blenheim-Christchurch services on the 29th of October 1996 initially using Metroliners and later Beech 1900s until the 1st of May this year. The Eagle service was replaced by Air Nelson Bombardier Q300s but loadings did not justify the 50-seaters leading to their withdrawal today. Tomorrow Sounds Air begin Blenheim-Christchurch services. Finally Eagle Air pulled out of Gisborne today. 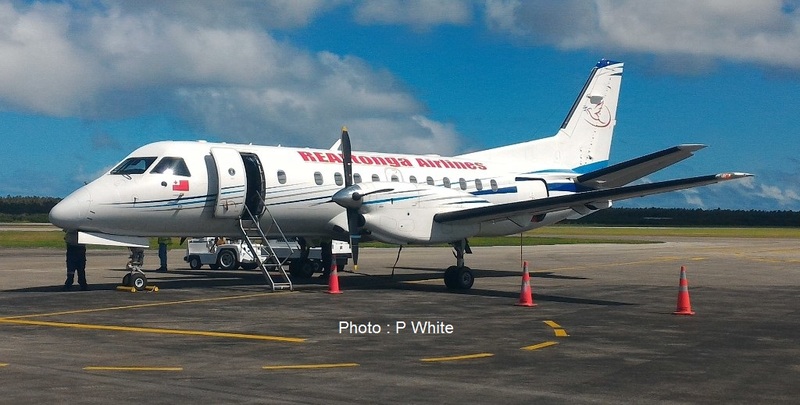 The final Eagle service was operated from Gisborne to Wellington by Beech 1900 ZK-EAN (NZ2237/Eagle 237). The Eagle service has been replaced with Air Nelson Bombardier Q300s. The first Wellington-Gisborne service was operated by ZK-NEF (NZ8238/Airlink 238). 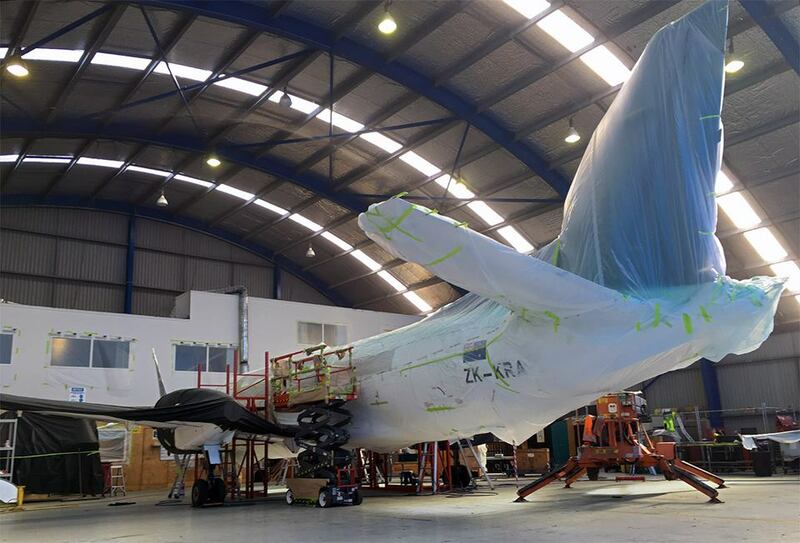 Saab 340A ZK-KRA has been rolled out of the Air Chathams Auckland hangar 30 July ahead of its introduction to service flying the airline's Whanganui-Auckland run from 01 August. 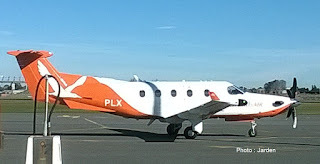 The Saab exited operations with Kiwi Regional Airlines 28 July and positioned from Tauranga to Auckland where it has subsequently undergone a transformation to the Air Chathams livery albeit minus the cheatlines - perhaps an opportunity for a billboard style decal to applied in the future. It is seen here taxiing to and from Auckland Domestic on the afternoon of 30 July for ground staff famil/training and as this post goes to air it will be preparing to depart for Whanganui where Air Chathams are hosting an airport open day to celebrate their commencement of services replacing Air Nelson/Air New Zealand Link Q300's. 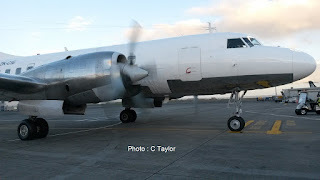 The Air Chathams DC3, ZK-AWP, flew from Auckland to Whanganui lunchtime 30 July. Kiwi Regional Airlines flew into history today as it operated its final services. Saab 340 ZK-KRA operated its last flight for Kiwi Regional on Tuesday the 26th of July 2016 flying KRL 8 from Dunedin to Nelson and Tauranga. It then ferried to Auckland to be repainted before starting service with Air Chathams on the 1st of August 2016. 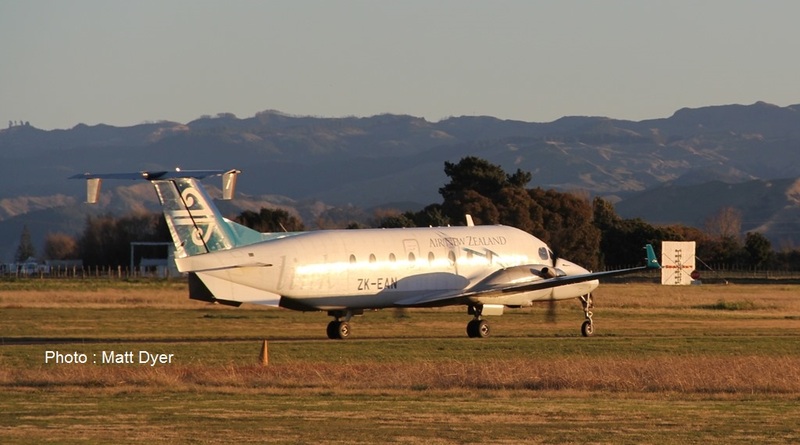 Meanwhile Air Chathams' Fairchild Metroliner ZK-CIC operated the southbound return service to Dunedin, the final flights from Dunedin and Nelson to Hamilton on the 29th and the final air Dunedin to Nelson and Tauranga service on the 30th of June 2016. 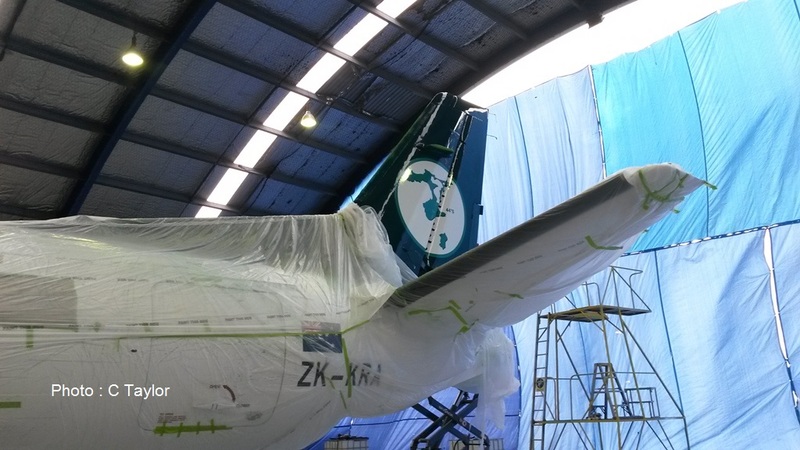 All Air Chathams' airline fleet has now been repainted in the company's green scheme... Thanks to Cyrus for the update. I'm hoping to get some photos myself on Monday as their fleet comes and goes! Stolen from the Air Chathams Facebook page is this pic of Saab 340 ZK-KRA - Here is what Air Chat's wrote... "A sneak peak behind the doors at the Auckland hangar of our new Saab 340 airliner getting a makeover!" From the Palmerston North Airport Facebook Page ; "Today we welcomed a trial flight, Parcelair's Boeing 737-400 freighter ZK-PAK. The aircraft will be operated into Palmerston North Airport by Freightways and New Zealand Post from early August." 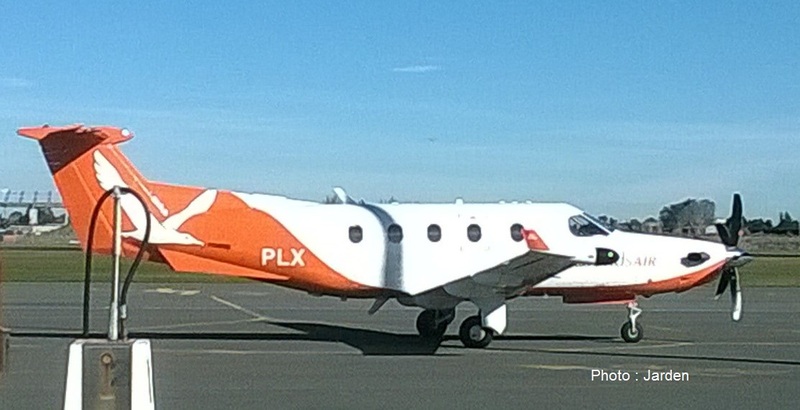 Checking out Christchurch today was Sounds Air's Pilatus PC12 ZK-PLX. My ride to Dublin... Aer Arann's ATR-42 EI-BYO... the air fare... 6 pence + taxes! Flybe's Embraer ERJ-145EU G-EMBU... Hoping to fly on an ERJ-145 in September! Cessna 172 ZK-EFA was tied down but going nowhere. Passenger numbers were down in total for Taupo Airport this financial year, but smooth flying is predicted for the future. Figures released in the annual report showed 41,438 passengers head through the airport, down from 44,905 the year before. "There were a combination of factors involved for this," airport manager Mike Groome said. "But on the whole things are on the rise." The decision from Air New Zea-land to stop its Wellington to Taupo service adversely affected passenger numbers, especially as a replace-ment carrier could not begin for six weeks. 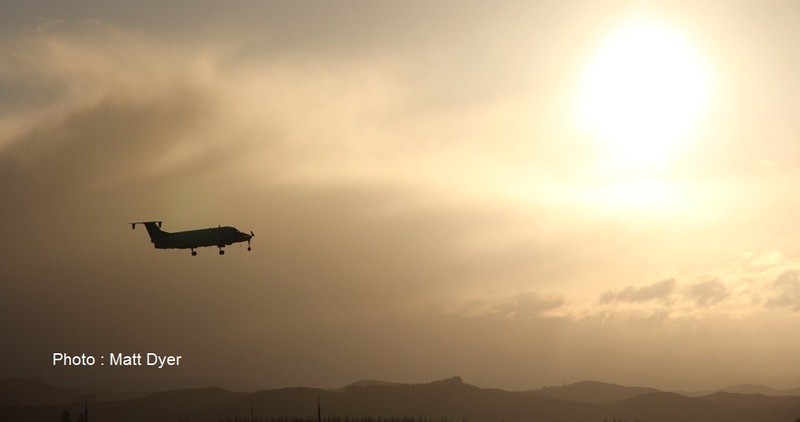 This meant there was no regular air traffic between Taupo airport and the capital city. This was remedied when Sounds Air picked up the service and began running a smaller, but well subscribed, service. Air New Zealand boosted its flight capacity between Auckland with the addition of a Q300 passenger flight service which can take 50 people at a time. This, coupled with cheaper fares per passenger, has seen the airport become busier this year. Groome said the airport has become busier now and there are plans to increase the baggage hand-ling areas as it has become congested when all flights arrive at once. A temporary scaffold structure has been erected in the interim but plans for permanent structure have been drafted for future approval. Fancy a flight on a Saab? 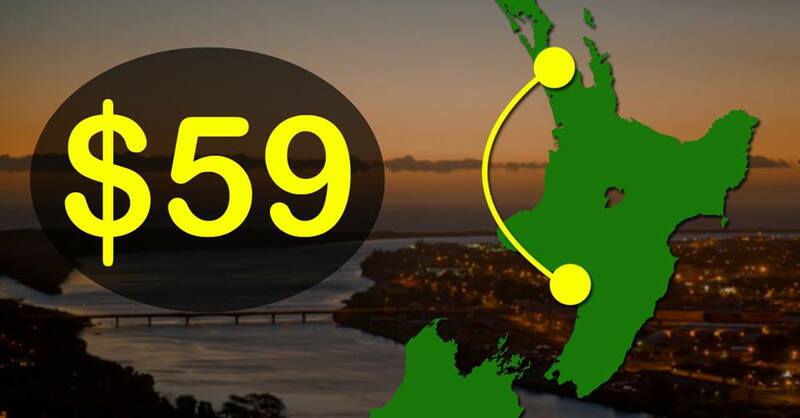 Special introductory airfares for flights between Whanganui and Auckland for just $59 during the month of August! Who on earth is FlyStark?